United Country Real Estate | Great Lakes Realty & Auction is positioned to assist with all your Michigan real estate needs. Operating offices in Atlanta, MI and Unionville, MI we can help you find the property you’ve always dreamed about. 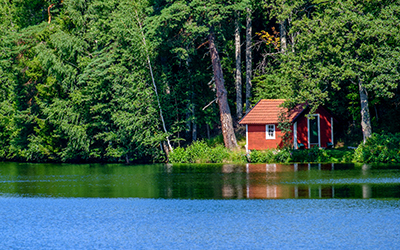 Surrounding forests and 11 area lakes make northern Michigan a vacation destination. Clear Lake State Park is a 290-acre retreat located within Mackinaw State Forest. Challenges for golfers of all skill levels are provided by Garland Lodge & Golf Resort, Thunder Bay Resort and Elk Ridge Golf Club. The Thunder Bay River runs through Atlanta, MI flowing into Thunder Bay National Marine Sanctuary. The last weekend of September is when the annual Elk Festival takes place, while the Sno*Drift Rally happens each January. Unionville Village Park contains athletic fields, playgrounds and pavilions across 44 acres. Also in Unionville is Kemp Memorial Park, home to a farmers market and more. Forestry, agriculture, tourism and manufacturing predominately support the Atlanta and Unionville area. Walbro Corp, Grede-Vassar Inc. and Plastech are among the top employers in Tuscola County. Otsego Memorial Hospital, Alpena Regional Medical Center and Thunder Bay Community Health are among the facilities providing healthcare in the area. Atlanta Community Schools and Tuscola Intermediate School District provide K-12 students educational and accessible colleges include Alpena Community College, M-Tec at Kirtland-Gaylord and North Central Michigan College. Significant differences in seasonal temperatures typify the local weather. Warm to hot summers and cold, sometimes severely cold winters are the norm within this humid continental climate. This area also receives 70 inches of snowfall and 26 inches of rain on average per year. 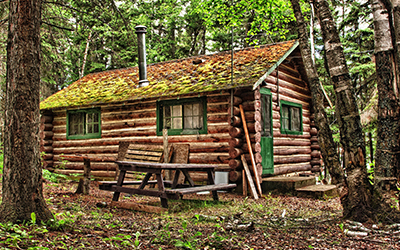 Expertise of Up North properties including Michigan hunting and fishing property, MI cabins for sale, Michigan farms for sale and other Northern Michigan real estate and more is provided by the experts at UCRE | Great Lakes Realty & Auction. Our team is eager to serve your buying or selling needs throughout Tuscola County, Clear Lake, Atlanta and the Saginaw Bay area.